Colostroplex is very effective and is affordable. I have IBS and this helps my condition big time. No more loose stools and intestinal cramps and bloating. Colostroplex is a great product! 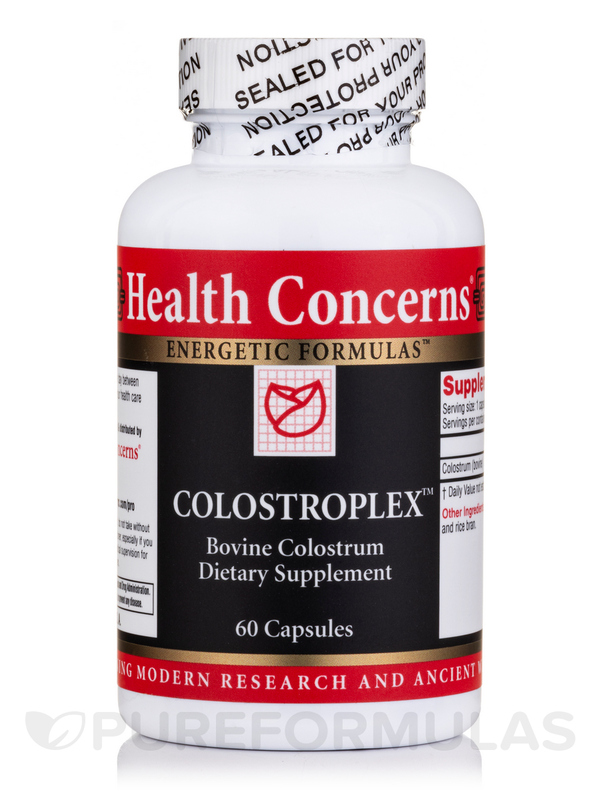 Colostroplex (Bovine Colostrum) by Health Concerns is a convenient source of colostrum‚ which is a nutrient-rich fluid derived from cows shortly after they give birth. According to its proponents‚ bovine colostrum might work to maintain overall well-being in several ways. 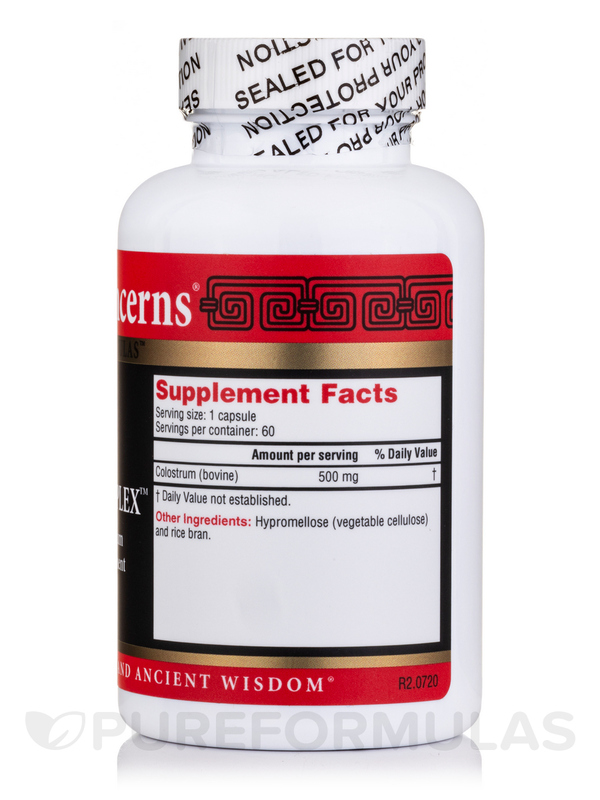 First‚ Colostroplex (Bovine Colostrum) may help address certain symptoms associated with gastrointestinal discomfort. For example‚ colostrum might play a role in alleviating mild diarrhea as well as inflammation in the colon. In addition‚ Colostroplex (Bovine Colostrum) might work to maintain optimal immune function. Specifically‚ colostrum is high in immunoglobins‚ which are antibodies that could potentially aid your immune system in identifying and neutralizing foreign bacteria and viruses. Finally‚ bovine colostrum might provide a mild stamina boost. For this reason‚ some people have used it to help maintain optimal athletic performance. 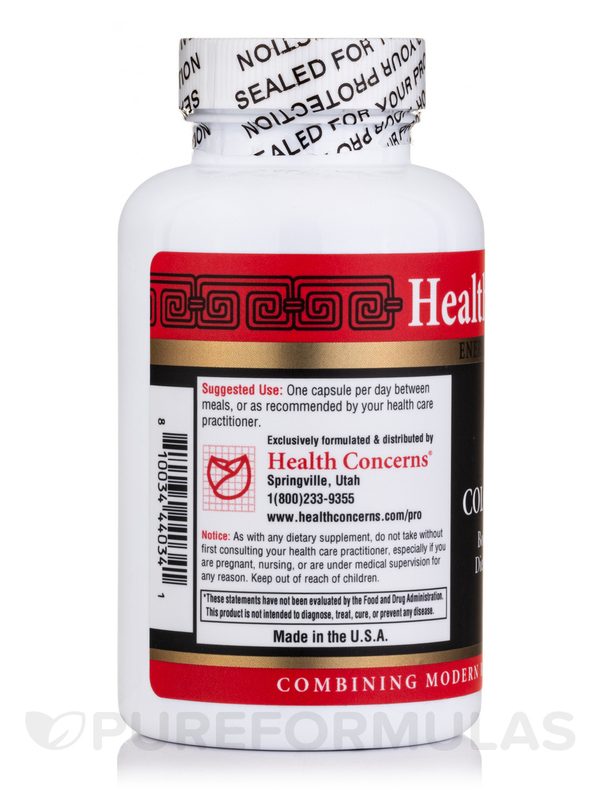 At the standard serving size of one to four tablets daily between meals‚ a 60-tablet bottle of Health Concerns’ Colostroplex (Bovine Colostrum) should last from 15 days to two months. Colostroplex has helped in my battle with colitis. After suffering 12-18 BMs a day following 75% colectomy Colostroplex (Bovine Colostrom) by Health Concerns helped me markedly almost overnight. One a day equals< 6 BMs a day now slowing down rapid transit so my remaining colon can absorb more water. Feel SSSSOOO much better its really almost unbelievable. Im sleeping all night waking up just ONCE instead of 5 times in 8 hours to go to bathroom. So Im well rested. I have more energy. Im a 30 year nurse practitioner and for my particular situation Colostroplex (Bovine Colostrom) was the miracle pill. Ive told my doctor about Colostroplex (Bovine Colostrom) and other patients.